In the early 19th century, copper coins were issued in denominations of 2 and 5 aspers, billon 1 kharub, silver 3, 4, 6, 8 and 12 muzuna, 1 and 2 budju, and gold ¼, ½ and 1 sultani. 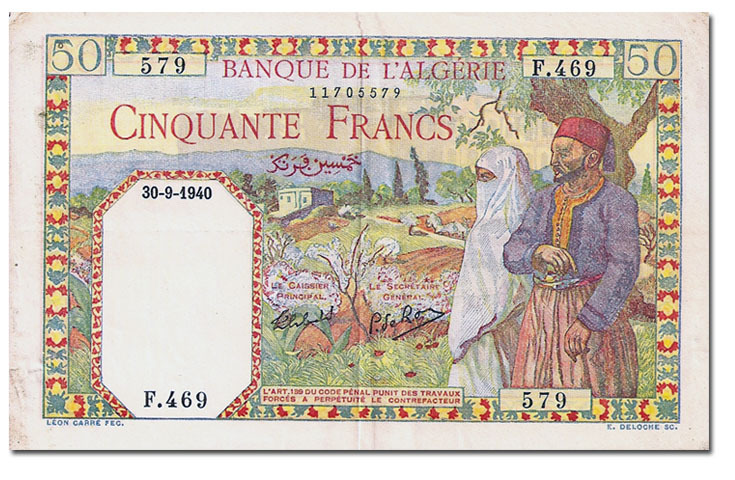 In came the franc, and notes like these showed how the evil colonial oppressors utterly eliminated local culture in favor of liberal, Western values. Or not.